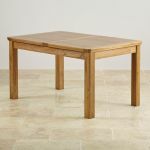 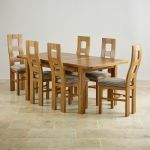 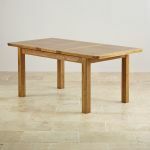 The Orrick extending dining table is a solid, rustic oak dining table that’s just right for everyday dining, and easy to extend when friends and family come round for special gatherings, here teamed with rustic oak wave back chairs of equal quality and with the same finish of the Orrick range. 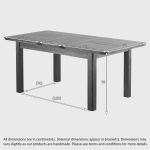 The extension adds 40cm – approximately 1ft 3 inches – to the width of the table. 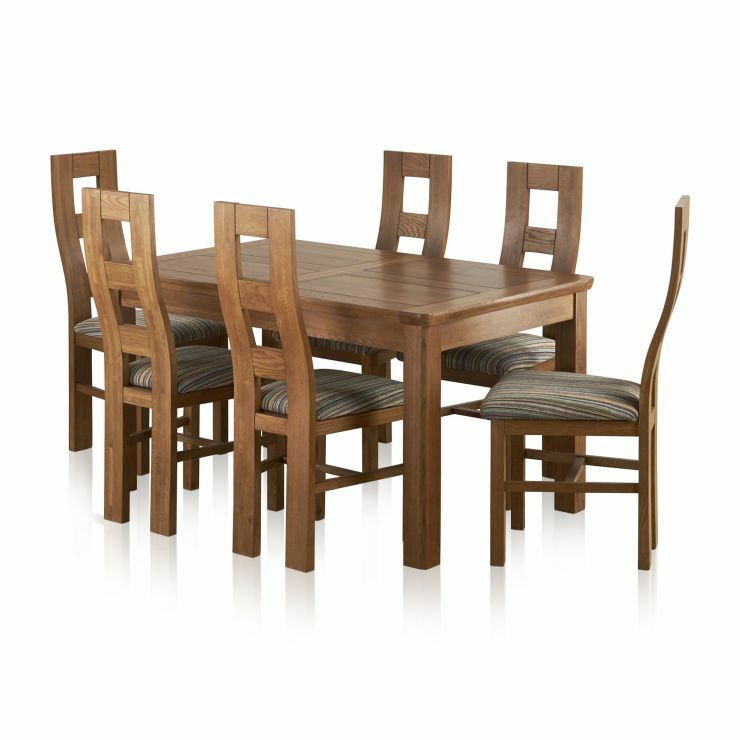 The subtly tinted wax finish of the Orrick range enhances the warmth of the oak, and shows off the natural wood grain to great effect. 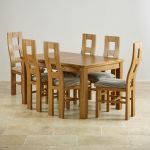 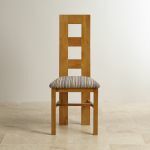 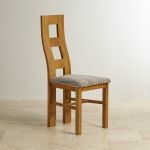 The table and chairs are 100% oak – we never use veneer or MDF in our furniture – and will be a wonderful place to gather in your kitchen or dining room for many years to come. 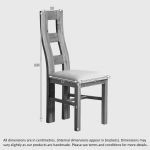 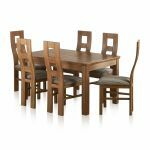 Use our dining set builder to customise your dining set from a choice of 12 fabrics and 4 different colour leather seat pads.